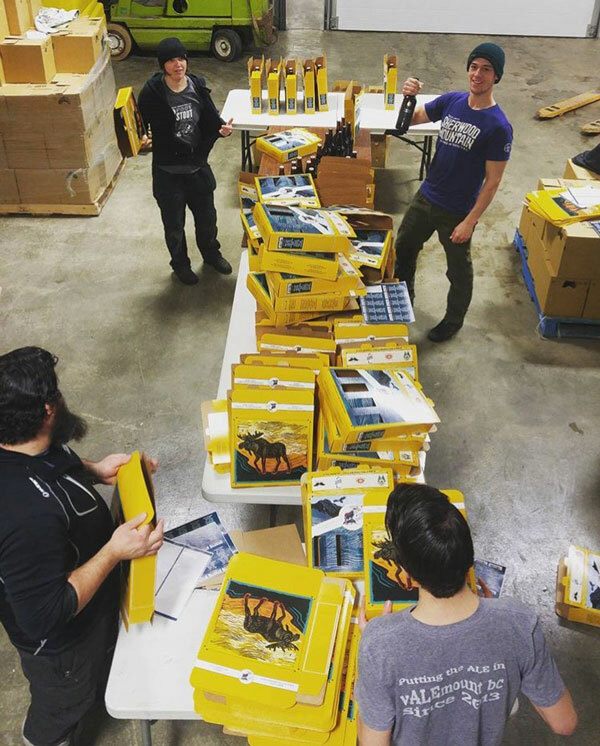 A pleasure to design this collaboration beer box for Barkerville Brewing, Sherwood Mountain Brewing, Three Ranges Brewing and Wheelhouse Brewing Co. The box is currently being filled with one 650 mL bottle from each brewery and on it’s way to stores. The design is meant to be used year round, with different beers throughout the year. So while it’s a ‘Northern British Columbia’ beer box, the design couldn’t be especially wintery or summery. The front of the box features cut out windows, to showcase the beer selection inside. I carved a linocut moose, and added some mountain range illustrations along with sunset colours and gradients. 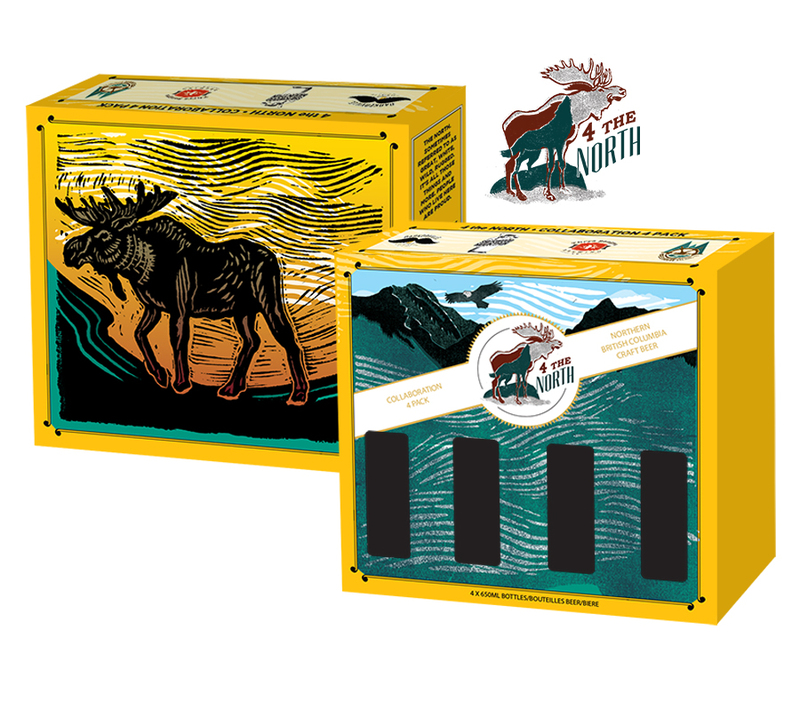 4 the North, beer box design for Barkerville Brewing, Sherwood Mountain, Three ranges Brewing, and Wheelhouse Brewing Co.